Vegetable Chutney, a great way to add veggies in your breakfast Idli / Dosa. Off course chutneys are a quick and handy recipe for many south Indian mothers during busy weekday mornings. I got to know this recipe through my Amma. She said once she tasted this chutney from a nearby foodshop. She liked the taste and without any hesitation she ask for the recipe to that foodshop owner. He said that he use lots of vegetables along with onion and tomato to make huge quantity to supply for their customers and he adds it also increase nutritients and taste to the chutney. She tried immediately and she even insist me to try the same. Though we have posted many chutney recipes in this space, I strongly recommend you to give a try to this delicious, succulent and tasty vegetable chutney. Tamarind and selection of other spices like chilli, hing with strong garlic pungency, making sure that the chutney kindles your tastebud. A spicy vegetable accompaniment to be served with any south Indian breakfast delicacies. Heat oil in a pan. Add garlic, sliced onion, curry leaves. Saute until turns soft. Grate or chop the vegetables. I used carrot, cabbage, raddish and potato. If you have capsicum, french beans and broccoli, add it. Add the grated vegetables to the onion pan. Continue stirring for few minutes until they are slightly cooked. Now add the roughly chopped tomatoes and cook till tomatoes are mashed. Cool the mixture completely and grind to smooth with chilli powder, turmeric powder, asafeotida, tamarind, sugar and salt. Prepare the seasoning. Heat oil in a fry pan. Add mustard, cumin, broken chilli, split urad daal, hing and curry leaves. Pour this to the chutney and mix. 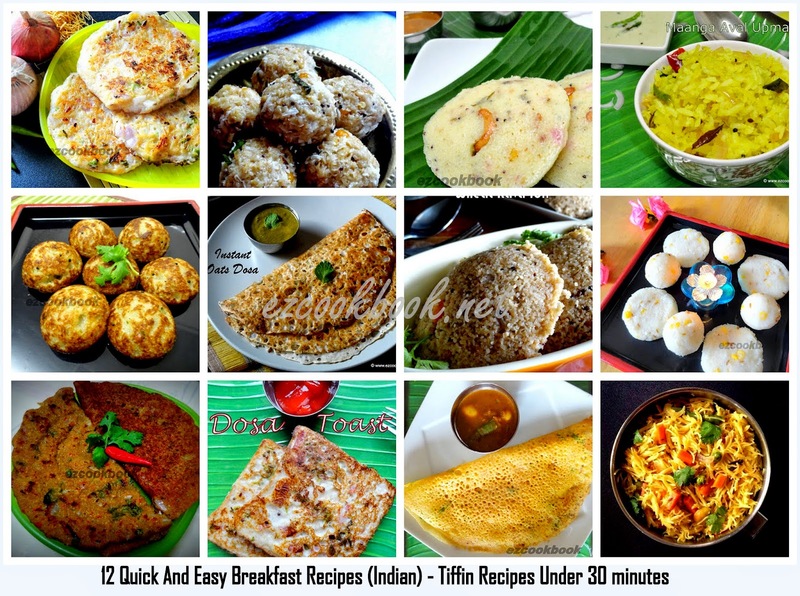 Serve with idli or dosa or ootappam and paniyaram. This chutney stays good for 2-3 days if refrigerated. Adding tomato gives the tangy taste. Same way tamarind increases the sourness. Ideal chutney to make use of leftover veggies in the fridge. Good way sneak veggies for kids who avoid eating it. Falooda / Faluda is belongs to Persian Cuisine and famous in all over asia as a traditional Indian/Pakistani dessert drink. It is refreshing and cooling summer delight which is very creamy and rich in taste. The combination of unique ingredients makes it so royal and heavenly that everyone will fall in love with this delicious dessert. Scroll down and check it out the recipe for how to make Falooda. Check here for more Gujarati recipes. Blend the curd and besan in a bowl. Add 2-3 cups of water into it. Heat the above prepared liquid in a sauce pan and add salt, chili powder, turmeric powder, and jaggery. Cook for 5-7 minutes. In other pan heat the oil and add the ingredient of seasoning. Once they stop fluttering add this seasoning into above prepared kadhi. Cook for few minutes until you get desired consistency. Garnish with Coriander. Serve hot with Plain Khichdi or Veg Dal Khichdi. Mix rice and dal in a bowl and wash it properly with water. Soak in water for 10 minutes. Drain and add it into pressure cooker along with 4 cups of water. Add salt, turmeric, ginger and 1/2 tsp of ghee. Mix well and close the lid of cooker. Cook it for 4-5 whistles. Let it cool down for 10 minutes until steam come out completely. Once cool down open the lid and mash it with the spoon. Serve out in a bowl and top it with a spoon of ghee. Serve with Kadhi and papad. For variation try the same with veggies and make veg dal khichdi. Khichdi will be basically very mild to tastebuds, if you are spicy lovers add some chillies. If in case the curd is not sour enough, squeeze half of the lemon to the kadhi at the end of cooking. Hooray!!!! Celebration Time Again !!!! Together we are stepping into 3rd year in this yummy world with new hope, dream and wish to grow on new heights. On this occasion we would like to say a BIIIIG thanks to all our friends and readers. We also expect your best wishes, constant support and blessings on this special day. There is nothing to express our friendship better than a good snap with all smiles. Together we wish to achieve niche in this food world. Today we promise again you all to serve many more yummy and innovative recipes as always. Marble cake is a combination of light and dark cake batter baked together and swirled to make pretty marble pattern. Here I tried to make it a little healthy by using banana-vanilla flavour along with chocolate in it. It is super easy to make with readily available ingredients in every kitchen pantry. Its extremely delicious and moist which makes it a ideal dessert to go with your cup of tea or coffee. This is my version of recipe to make Eggless Chocolate Banana Marble Cake. Ready-made sauces are available from many supermarkets, still it is fun and exciting to make your own sauces at home. This classic tomato sauce is a primary sauce, that usually served as part of dish or along with vegetables and meats. The base sauce recipe to make pasta or pizza perfectly done as soon as possible. Tomatoes got a rich tangy flavour with soft texture, makes it cook faster. Thats why in many of the recipe it is used as a thickening agent. Offcourse most of the Indian cooking have onion-tomato as a base. The recipe calls for few basic ingredients with tomatoes as main, cooked over low heat until gets thickened. The sauce may also be frozen for upto 2 months and use as needed. I love to relish this with tortilla chips. Healthy and delicious Paratha stuffed with mixed vegetables and spiced up with special Indian Spices powders. This Healthy stuffed parathas are very popular among North Indians. I make it every other week and always in demand in my house. I can hide almost all the veggies in stuffing which my family member dont like to eat in curries or gravies. We all just love this yummy n healthy paratha anytime with curd and pickle. Here goes the recipe and learn how to make mixed veg stuffed parathas. Nankhatai are Indian version of eggless cookies. It can be made with plain flour, sooji or gram flour. I tried to make healthy cookies using gram flour, brown sugar and olive oil. It was as delicious as normal cookies. Here goes the recipe to make Healthy Nankhatai / Healthy Eggless Cookies. Chocolate, being a versatile and delicious ingredient often used in cakes and bakes, also used for stunning decoration. Nothing will satisfy a chocolate craving better than one of these delicious chocolate cake. This splendid rich chocolate-oil cake is a basic cake recipe with no eggs that will never let you go down. I never felt confident myself before until I had my brave attempt of baking rich chocolate cake for the first time. Kadala Curry, If you ask any of the keralite what's your favourite kerala breakfast recipe? without a doubt reply is Puttu with Kadala Curry. Kadala curry is a regular breakfast sidedish that goes well with appam, dosa and idiyyappam too. I like the delicately flavoured curry with the crucial ingredients like coconut-coriander as base. The curry perfectly paired with Neer Dosa which I made with it. The recipe has minimal ingredient and very simple to experiment with no fuss. Handvo is a authentic Gujarati savoury cake. It is absolutely healthy, nutritious and delicious. It can be served in breakfast or as evening brunch with tea or pack it in kids lunch box. We always try and eat those sinful sweet cakes but how about trying this healthy and savoury cake for a change. Here goes the recipe for how to make handvo. Kids will love eating these muffins as many as they love making them. These deliciously cute muffins are really easy to make, and jut as easy to change too. Swap blueberry for cranberry or strawberry or peach or any fruit you would like to make muffin. Eat it for breakfast or as a snack with a glass of milk. Treat yourself when youu crave for some quickfix.